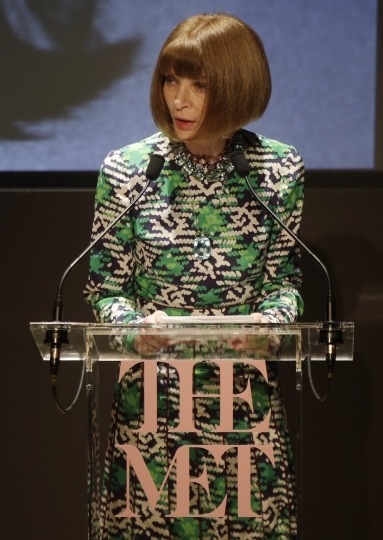 MILAN — Anna Wintour has paid tribute to Karl Lagerfeld's generosity and sense of humor as she presented a new fashion exhibition. The American Vogue editor-in-chief said Friday in Milan that Lagerfeld, who died this week, "would have loved" the exhibit "Camp: Notes on Fashion" at the Metropolitan Museum of Art's Costume Institute, given his "wonderful sense of humor." The display will include a Lagerfeld creation, among 120 that he had donated to the New York museum. Wintour expressed her gratitude for Lagerfeld, whom she described as a "great friend and an important donor," her voice cracking as she spoke. 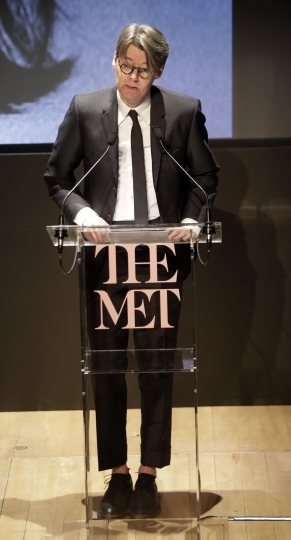 "Karl was the very best benefactor and collaborator, as erudite as he was generous," Wintour said. 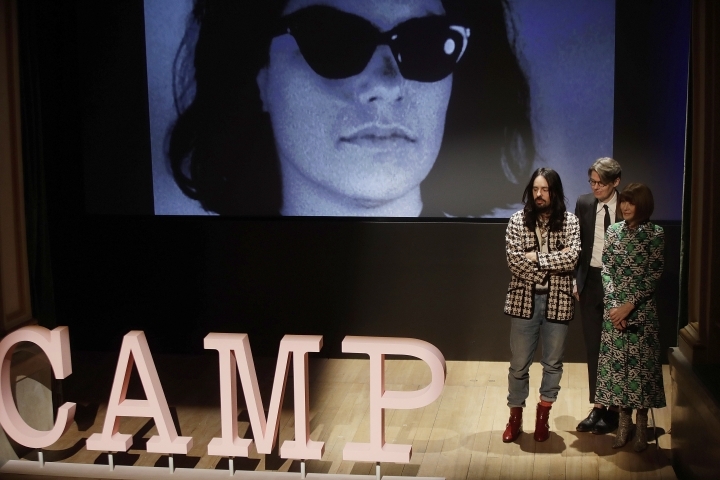 The Costume Institute's new blockbuster exhibition focuses on the role of "camp" in fashion, drawing from many pieces featured in recent runway shows including Gucci, Viktor & Rolf and Palomo Spain. Curator Andrew Bolton says camp has been used "as an escape but also a tool for political criticism." 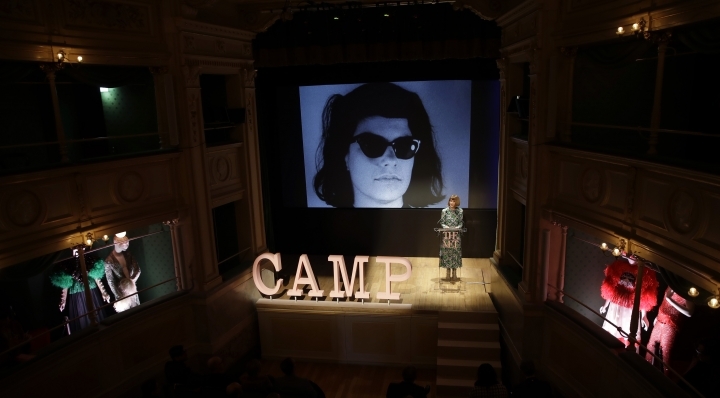 "I think camp has this ... playful sort of approach to the Zeitgeist. ... It's a reaction and a reflection of the times we are living," he said. 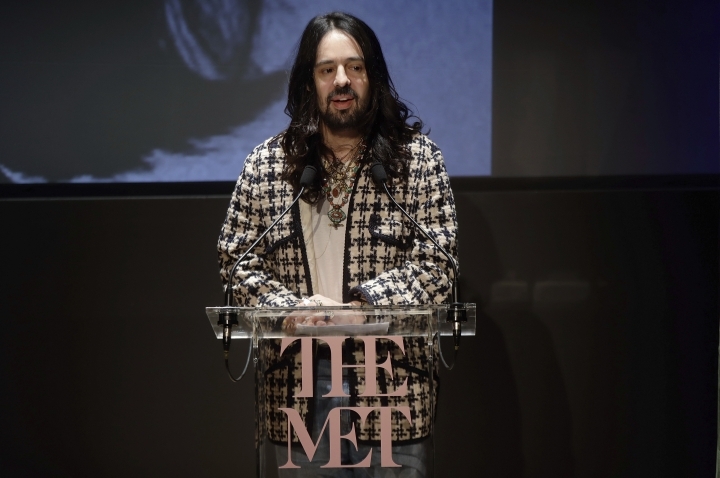 The exhibit, sponsored by Gucci, will include pieces from creative director Alessandro Michele's fall and winter 2018-2019 collections. 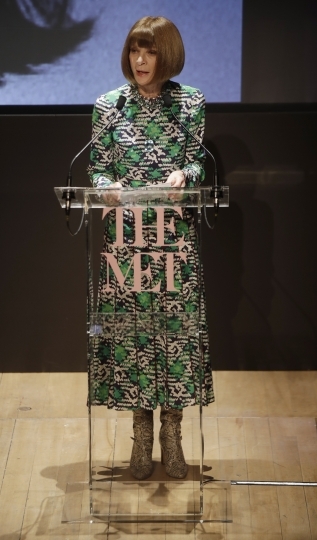 It runs from May 9 to Sept. 8 at the Metropolitan Museum of Art. 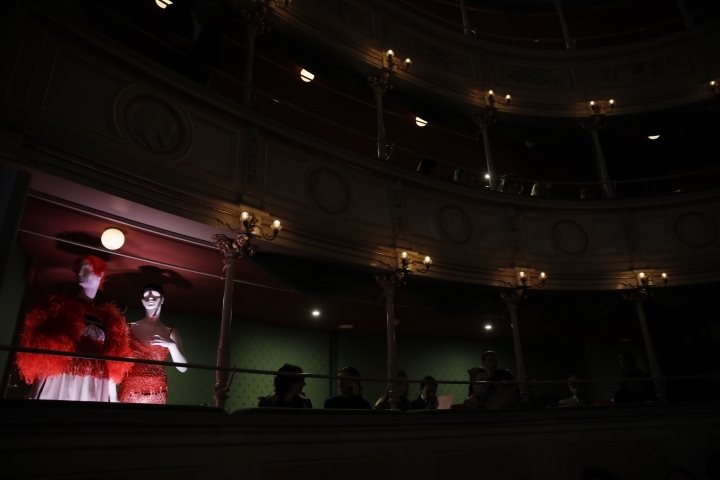 "The exhibition in some ways belongs to the DNA of what I have done in these years," Michele said. "Camp isn't only a word created to explain how much you can be extravagant, exaggerated. It is that thing that hides the great power of clothes and the great power of appearance."